Here is the next coin in the series. 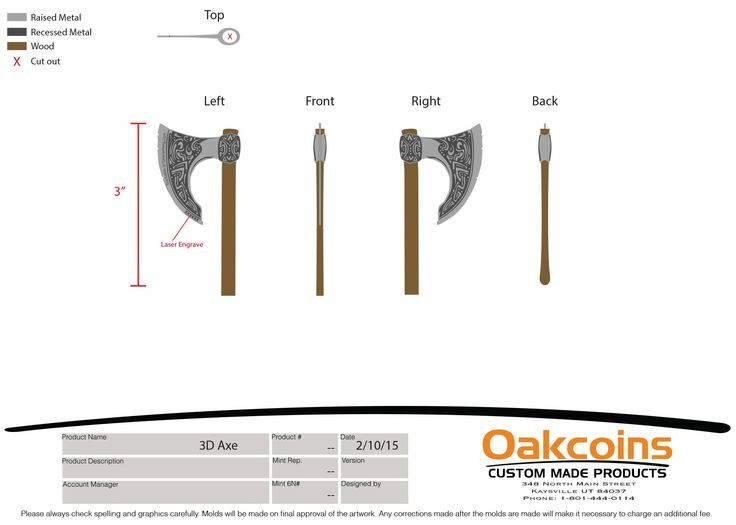 This is a 3D ax. Handles are made of real wood. They are of course trackable. There are two editions for sale. Antique gold and antique silver. They cost $ 20 per item + postage. Your email must contain; Name, address and email address I can send paypal invoice to. 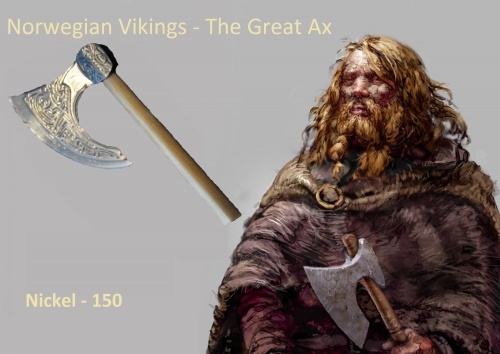 Each hvilklen edition you want and the number of coins. It is now ready for the production. Starting presale now. This ordered as soon as it is sold enough to finance the rest. Delivery: up to 2 months, but is probably before that. What is the length of the handles, like on the drawing or like on the pictures? With the proportion on the drawing the coin would look really gorgeous. These look amazing. I can't wait to see these in reality. Very exciting. RE is for sale now. 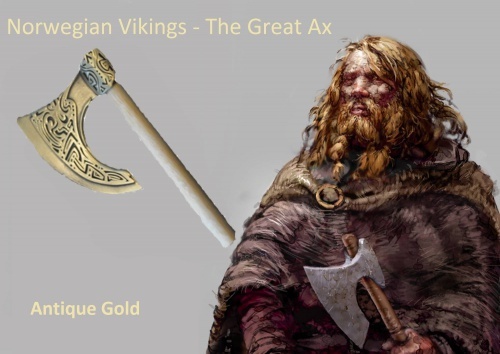 Norwegian Vikings - The Great Ax has sold like crazy. It is now paid. Then it is just waiting for production. 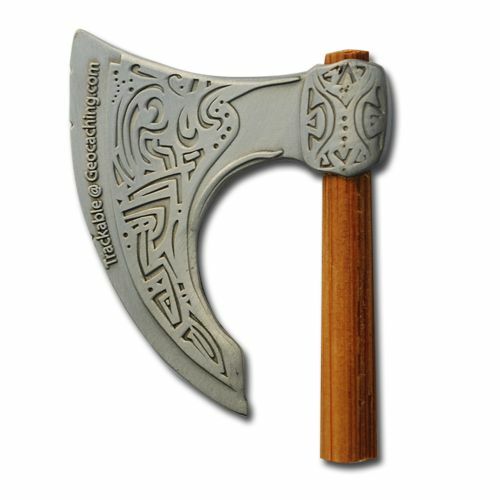 Just wanted to pipe in and say the axes look great! 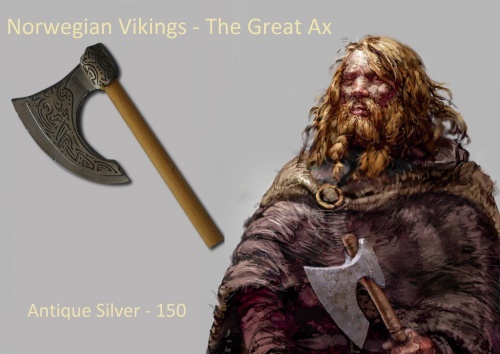 I noticed you have other viking themed coins. How would I go about seeing what you have and possibly ordering them? 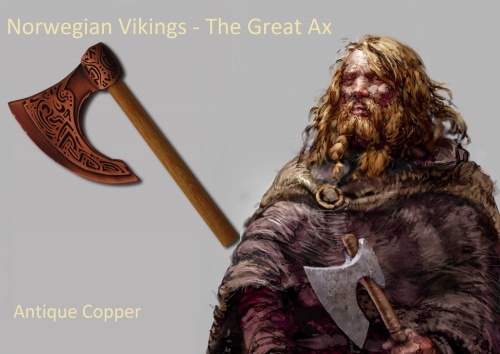 I am quite interested in Norse history and these coins are a great expression of that. Glad you like this coin. 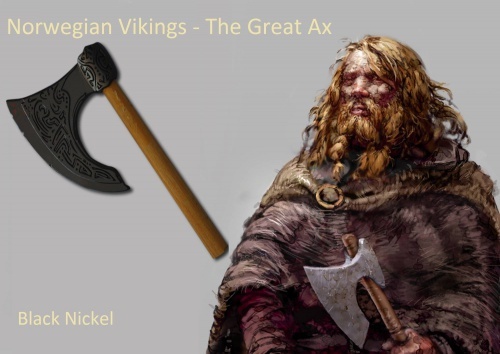 And of course "the Great Ax"
Right now it's not just the big Coin I have left. Those I still have in stock are satin silver with black background. You can send an email to coin@tevjen.no with what you wish. Now it's not long before they arrive. Sitting and watching the tracking of packages now. I have received my set of these coins, they are indeed great! I have got one antique gold and one antique silver available for trade, if anyone is interested. Trade list in signature. It was delivered the wrong color on one of these. The previously announced as Antique silver and is sent out is Shiny nickel. Chose to make an extra edition instead of making those again. That means there are five editions of this. 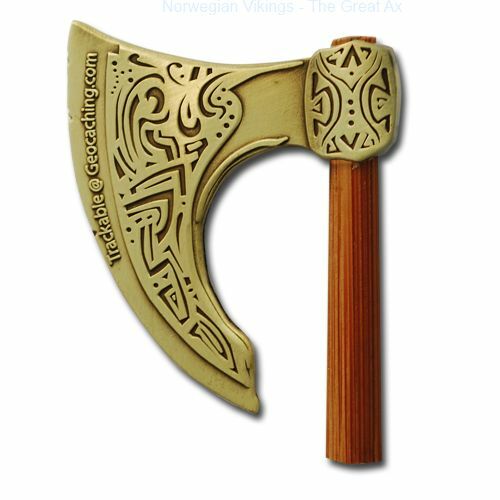 I've now got the one in antique silver. Thomas, do I remember an SE that was shiny gold? GCF EU?